Manchester United midfielder, Paul Pogba has set a new record in his club’s 3-0 win against Stoke City on Monday night. 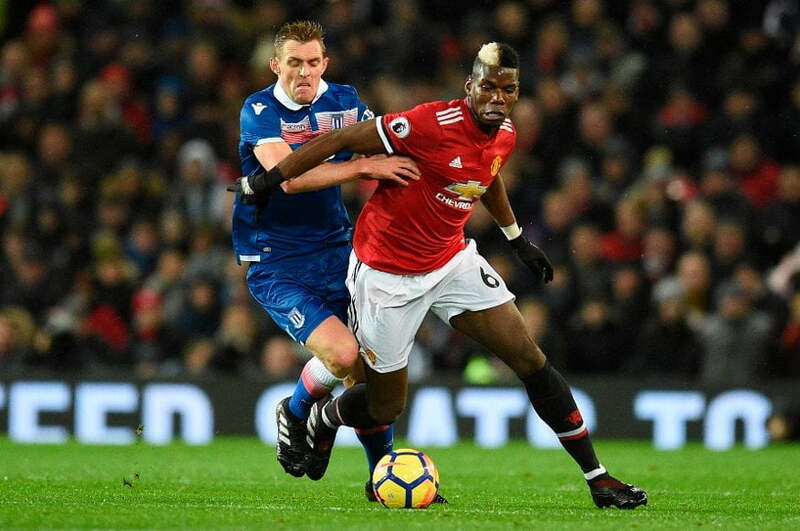 Pogba, who is United most expensive player took his unbeaten run for the Red Devils to 35 Premier League games after featuring for his club yesterday, Sky Sport reports. The 24-year-old last tasted defeat in the English top-flight in United’s 4-0 loss to Chelsea on game week nine during the 2016-2017 season. Last season, he was on the bench in Manchester United’s 2-0 loss to Arsenal at the Emirates on May 7 and was not in the squad beaten 2-1 by Tottenham Hotspur the following weekend. This season, the French International was not in the 18 man list that lost to Huddersfield and Chelsea due to a thigh complaint. Pogba also missed the defeat to Manchester City last month due to a red card suspension. According to statistics provided by Sky Sports, Gabriel Jesus is the next man on the list with 28 games unbeaten, followed by David Silva, who has gone 25 without losing.